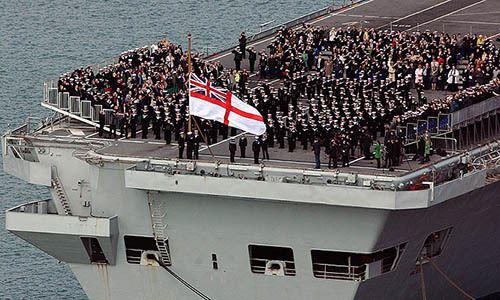 HMS Ark Royal's Decommissioning Ceremony - 11th March 2011. Some dates may be approximate. If you are able to provide more accurate information or to correct an error then please email us. 22nd January - Ark Royal's Ship's Company conduct farewell march through the City of Portsmouth. 22nd - 23rd January - Ship Open to Visitors at Victory Jetty. 12th February - Ark Royal's Ship's Company conduct farewell march through the City of Leeds. 11th March - Decommissioning Ceremony in Portsmouth. 28th March - HMS Ark Royal officially "up for sale". 25th May - Final members of Ark Royal's Ship's Company leave on draft.